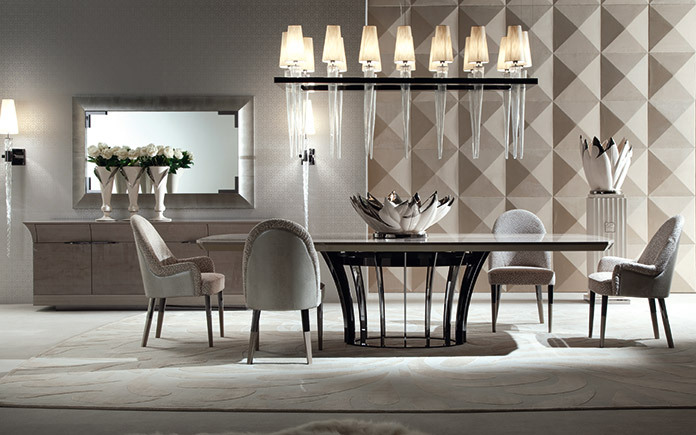 With over 1000 products in the range, Giorgio Collection uses its interiors and home decorations to purvey an instantly recognisable lifestyle concept where a fresh take on art deco mingles with cutting-edge design. 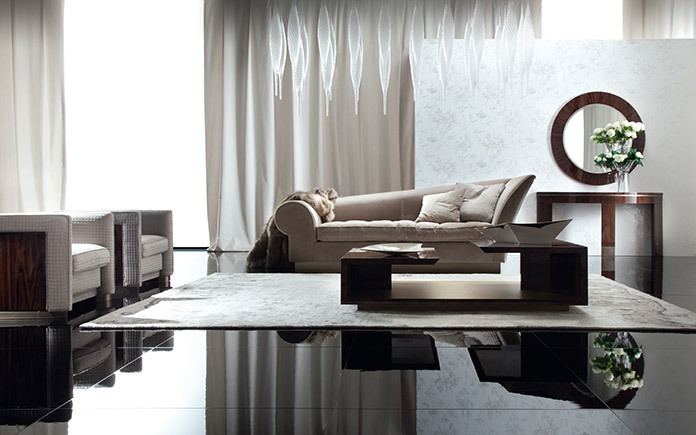 Now, Giorgio Soressi’s creative side gives life to Alchemy, the exclusive new collection defined by carefully selected materials which create an original, sophisticated effect in perfect alchemy with the whole. Tiger African sycomore, featured here with subtle light grey nuances, is paired with gunshot grey chrome and black mother of pearl detailing, which is used to enhance the handles and inlays of the various pieces. 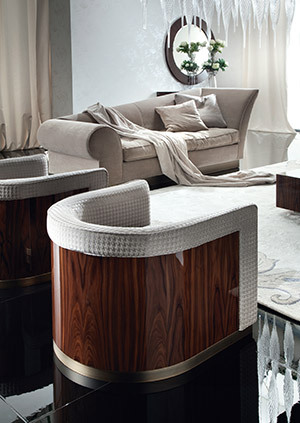 The use of white maple to finish the bases and tops of the furniture adds another level of prestige. The result of extensive experimentation, silver lizard leather brings light to the bedhead and backrests of padded furniture. 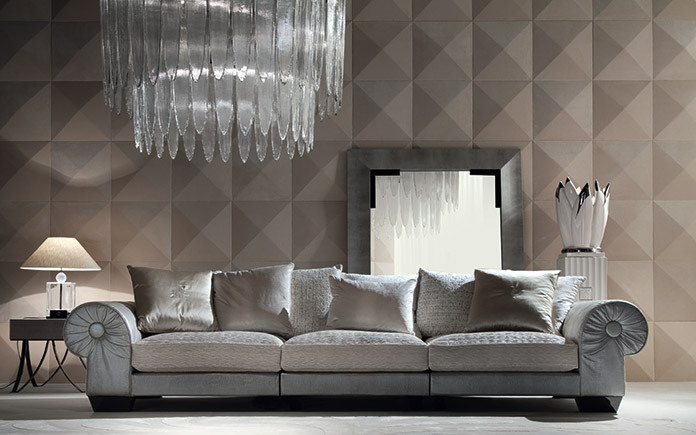 Silver coating is a nod to classic silver leaf and is one of the stand- out new additions to the revitalised collection of fabrics, which this year features over 200 variations. 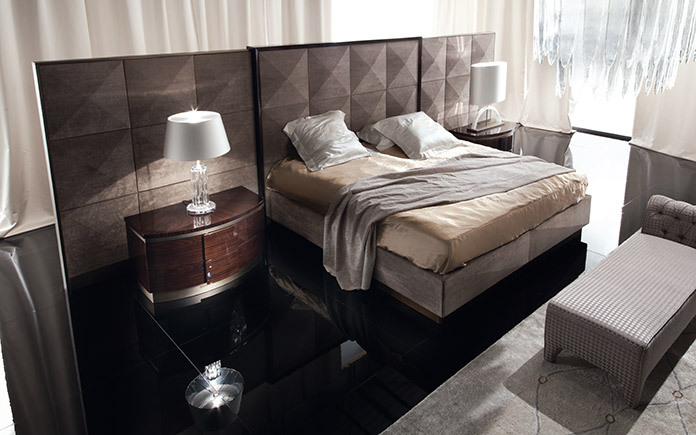 Alchemy brings together more than 50 elements, showcased via total looks of three rooms: bedroom, lounge and dining room. 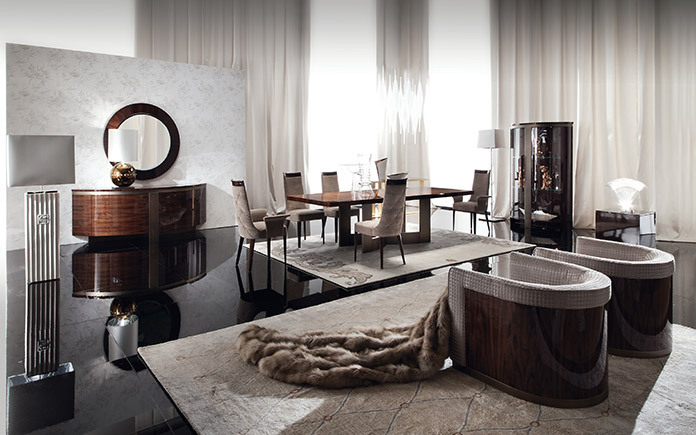 Another key offering at the Milan-based fair is the Coliseum collection. 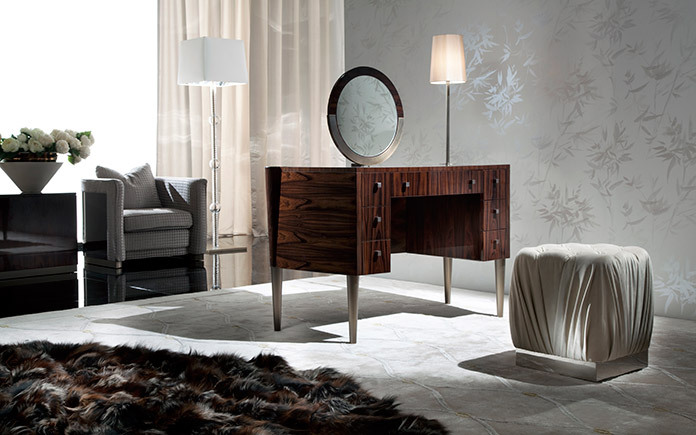 Brazilian rosewood is featured with a shiny brushed polyester finish and brushed burnished steel detailing. 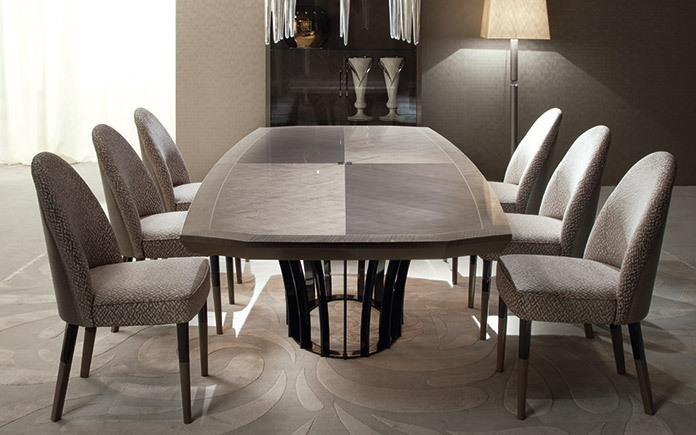 Having been unveiled to great success last year, the collection can now be considered complete thanks to the addition of a round dining table in various dimensions, a vanity desk complete with lamps and a mirror, a convivial bar area and a high-end office.